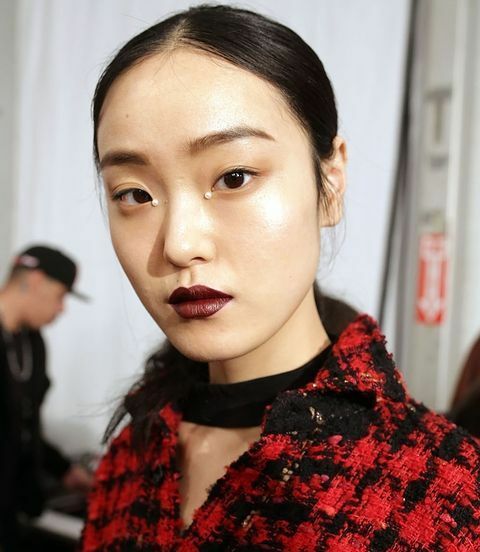 Say goodbye to the no makeup looks and embrace rich textures and electric colors this Fall season. 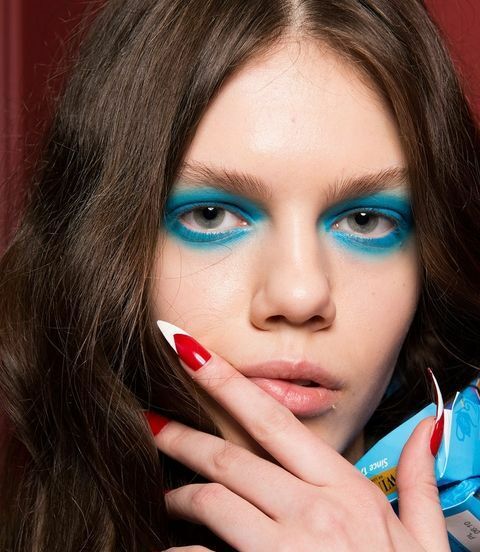 While graphic liner was still all the rage from last Fall’s trends, what caught our eye was this interrupted eyeliner look. Ditch the all round eye liner look and separate ends by a pearlescent color in the middle for a more wide eyed look. If the more is more approach on the top lid isn’t enough for you, take inspiration from this under liner trend and give yourself a statement look with a bright liner on the lower lid. If you thought the metallics trend was more in the face, you need to check out this color popping electric eye shadow trend. A bold swipe of your favorite electric color and you are all set to hit the streets in vogue this season. 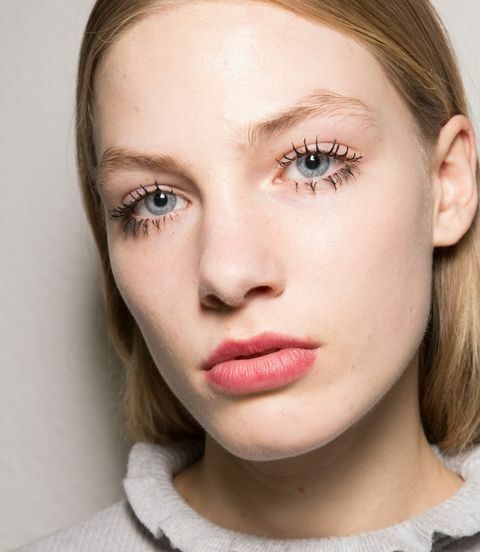 Yet another trend continuing from last year, segmented, spidery lashes were still a favorite among many designers. No more perfectly, choreographed brows for us this season. 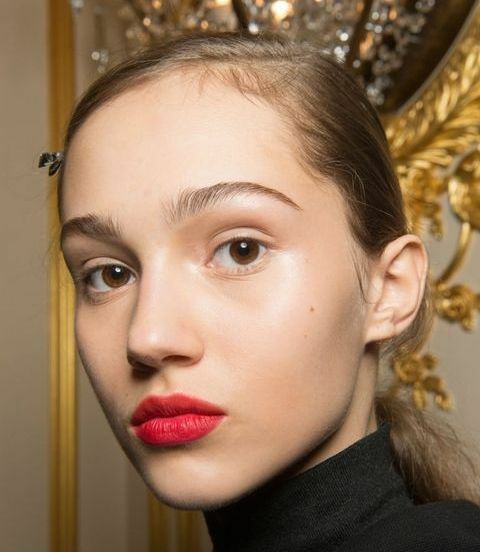 Opt for feathery, brushed up brows for a more lived-in real look. 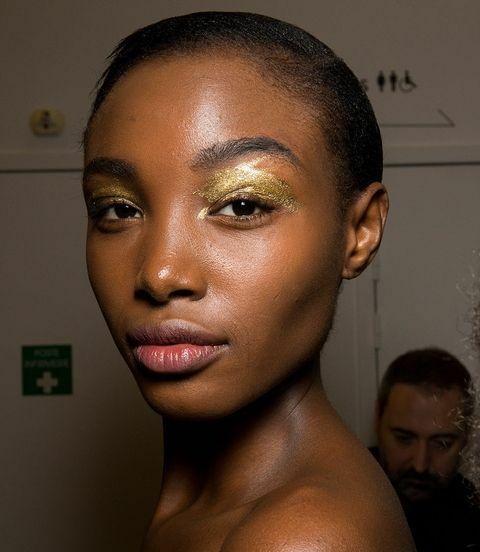 MUAs this season used bronzer as a blush to create the on-the-go look that seemed like the models were running around in cold weather. Creatively enough, it worked. Strobing is back this season. 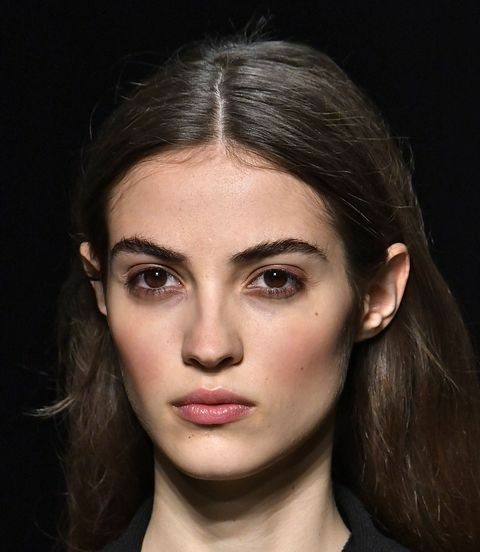 Forget contouring and focus on all things highlighting this season to get a fresh, youthful look. 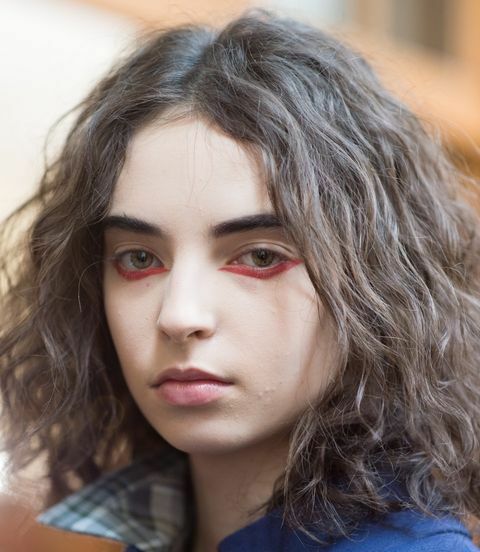 If you are looking for a more subtle trend this year, the least you can get is this pink blush swiped high across the cheekbones – from the apples to the temples – trend. Take it up across the eye lids to complete the look. 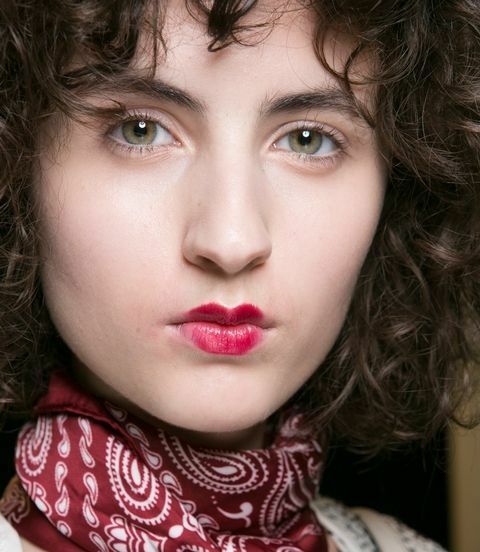 Forget all other lip colors this season and opt for all things berries. 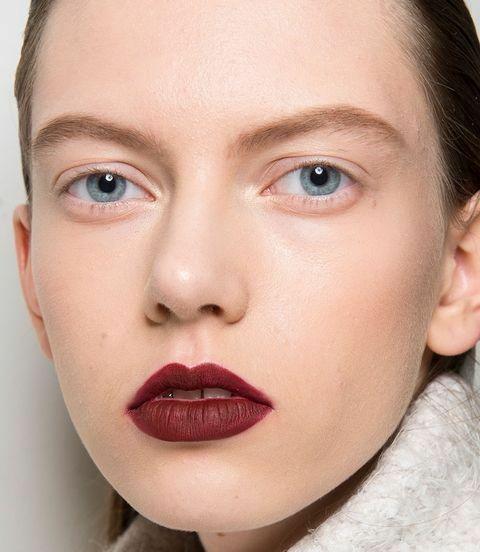 From blackened cherry lips to pearlescent plums, all major runways had a shade or two of berry for this season. Take notes from 1920s and apply lipstick as a cupid’s bow where the width is exaggerated while the length is de-emphasized. If you haven’t hopped on this trend, you need to do it this season. 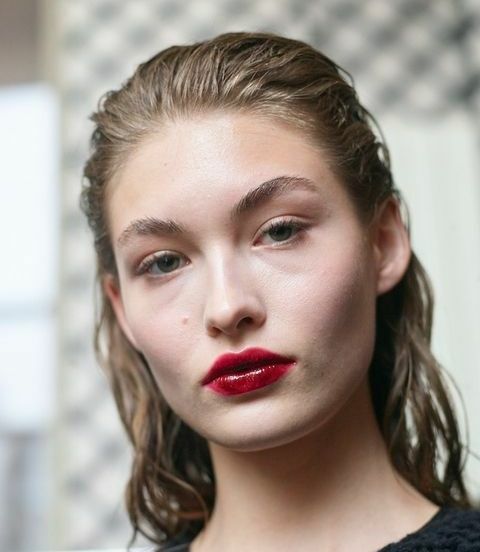 Use two different but similar colors on the upper and lower lip and rock the new take on ombre lips. While you are trying on those shades of berries, opt one in the lacquer form for this high gloss look from the runways.